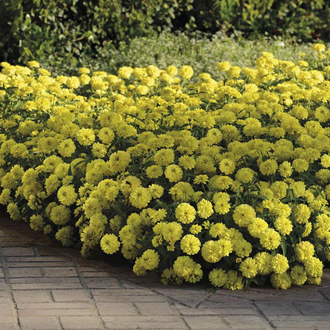 Sunny yellow, fully double blooms on compact, bushy plants. They will make a stunning display throughout the summer and are great for either bedding or containers. 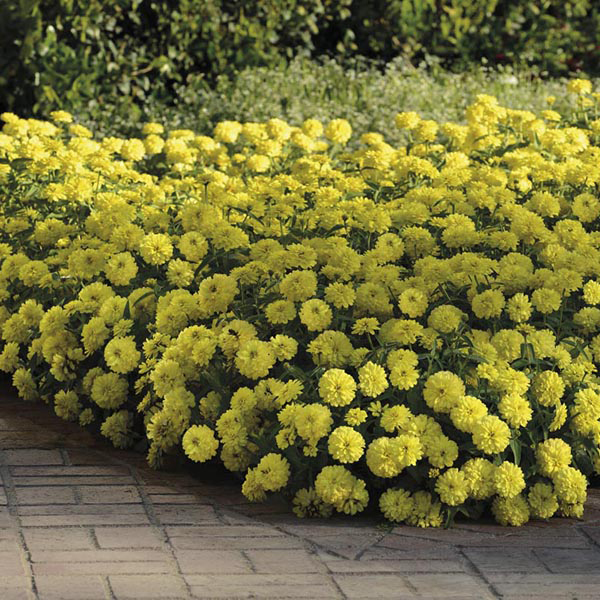 GROWING INSTRUCTIONS: Sow: outdoors, April to May, thinly 0.5cm (quarter-inch) deep in flowering position. Keep soil moist and weed free. Thin out allowing 30cm(12in) between plants. Or, indoors March to May, in pots or trays of seed compost lightly cover the seed and keep moist. Maintain a gentle warmth, 18-20oC (55-68oF). Thin (prick out) to further pots when seedlings are large enough to handle. Gradually harden off before planting out to final position spacing 30cm(12in) apart. Avoid root disturbance as much as possible. Flowers: July to September, remove deadheads to prolong flowering.